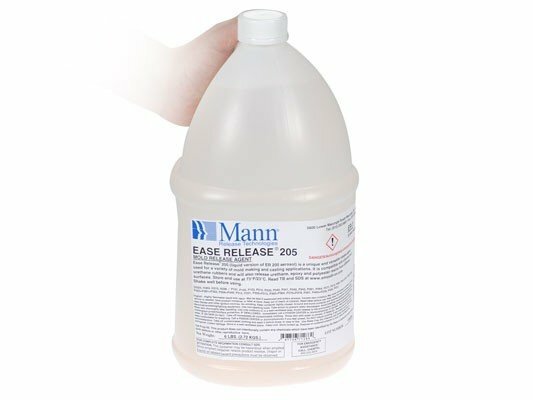 EASE RELEASE 205 is a versatile liquid release agent that is used for a variety mold making and casting applications. This product will release liquid urethane rubber from cured urethane rubber and a variety of surfaces. It will also release silicone rubber from itself and a variety of surfaces. ER 205 can also be used to release epoxy, and urethane resins as well as thermoplastics. EASE RELEASE 205 is effective on a variety of substrates including steel, aluminum, chrome, epoxy, urethane rubber and plastics, sealed plasters, sealed concrete and wax. Model Preparation – if making molds using urethane or silicone rubber, the model surface may need to be sealed (using a sealing agent) before applying release agent. Read the technical bulletin for the mold rubber you are using before proceeding. APPLYING EASE RELEASE 205 Safety First – Do not smoke or use ignition sources when using sealing or release agents. Use only with good ventilation. Store and use at room temperature. Hold spritzer pump 6 in./ 15 cm. from surface to be sprayed. Apply a light mist coating to all surfaces that will contact the rubber or casting material including model or mold surface and surrounding forms. DO NOT OVER APPLY. Using a soft brush, brush the release agent over all surfaces. Allow to dry for 10 minutes. Important - this product has a limited shelf life and should be used as soon as possible. Ease Release 205 is available in an easy-to-use aerosol called Ease Release 200. AVAILABILITY - EASE RELEASE 205, along with the entire line of release agents and mold cleaners, are available through our network of quality distributors located throughout the world. CAUTION - Use adequate protection when handling any release solvent system. Skin contact may cause dryness. Wear safety glasses or their equivalent to prevent eye injury. 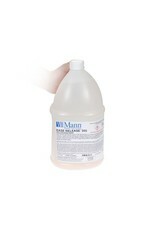 Avoid inhalation of excessive amounts of solvent vapor. Do not smoke or use ignition sources when using any solvent system. Always consult Material Safety Data Sheet before using any sealer or release agent.